"Some say the pyramid in Alaska is a hoax while others maintain it is real. 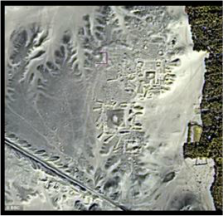 Linda Moulton Howe first reported on a high strangeness finding in Alaska: an apparent buried pyramid about 50 miles from Mt. McKinley, according to Whitley Strieber at Unknown Country. He reports that ‘the object is apparently very old, both built and buried by unknown parties” and is larger than the Pyramid of Keops."